As part of the RoControl project, My Research is seeking technical solutions for controlling the rotation and stabilization of the video camera not connected to an unstable base. 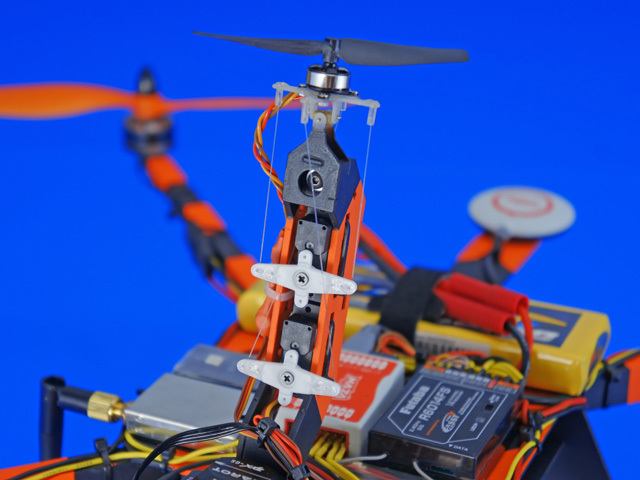 This means that the connection between the camera mount and the multicopter frame is limited by friction in ball bearings only. By now, several models of such devices have been tested with positive results from using a gyrodine and air engines. Ecilop Eco is the seventh model of the Ecilop series. 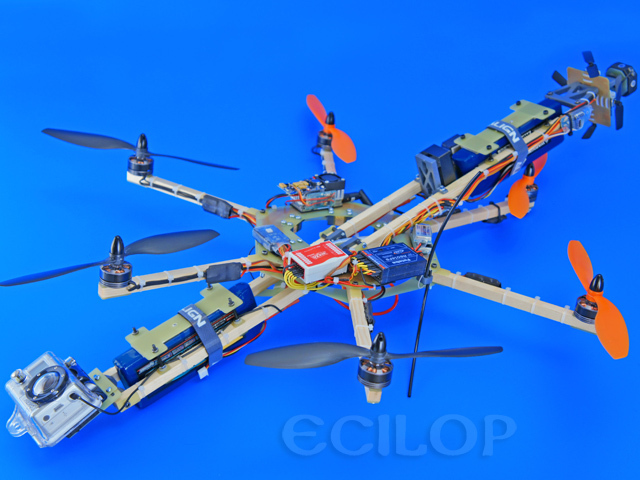 Prior to releasing a new model, the company runs various experiments and most experimental drones remain on the prototype stage. This is a regular practice of innovative companies developing new products instead of copying similar solutions. RoControl technology is implemented on the Ecilop-5, Ecilop-6 and Ecilop-7 (Ecilop Eco) devices.
" 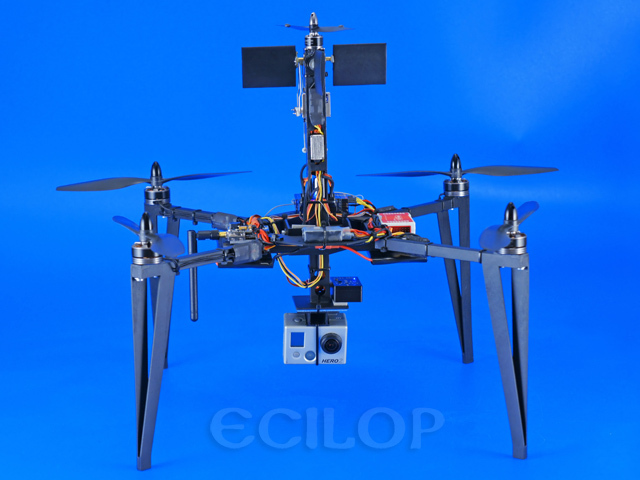 Easy assembly, safe flight, stable videos, cheap repairs ". 1. 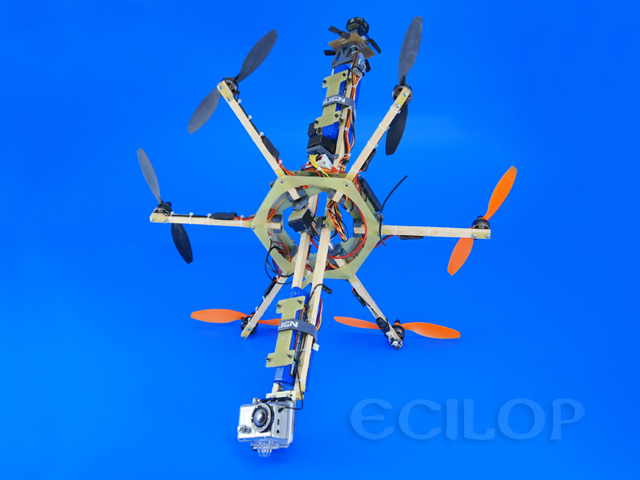 Multicopter swaying does not affect the camera, since the camera rotates leaning against the air and not the multicopter frame. 2. Other camera gimbal types using the frame try to quickly stabilize the camera when tilting takes place, while Ecilop stabilization does that inertially. 3. The wood frame absorbs vibrations and does not pass them to the camera. 4. Correct arrangement of the structural elements ensures rigidity and lack of vibrations even without special dampers. 5. A lightweight wood frame will not cause a lot of damage in case of crash. 6. 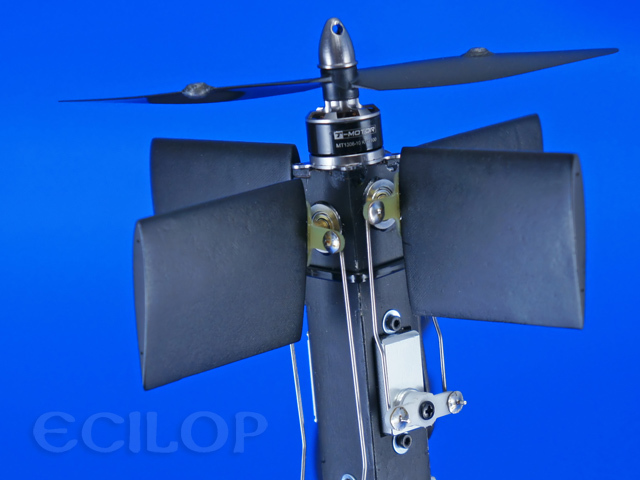 Small lightweight propellers cannot cause serious injuries. 7. If the drone falls from the height of several meters, the frame is likely to remain intact. 8. Quick repair of the wood construction is possible in field conditions using super glue. 9. The frame of the drone can be spray-painted into any color. 10. 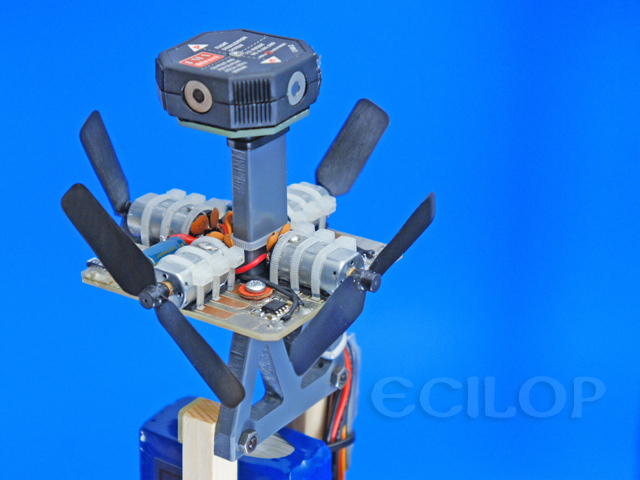 The camera gimbal is attached with a single screw, so you can make test flights without a camera. 11. Two people can simultaneously control the drone to ensure professional shooting quality. 12. In the "heading hold" gyroscope mode, the camera will not tilt following an erroneous signal from accelerometers (the second operator can take care of smooth tilting). 13. 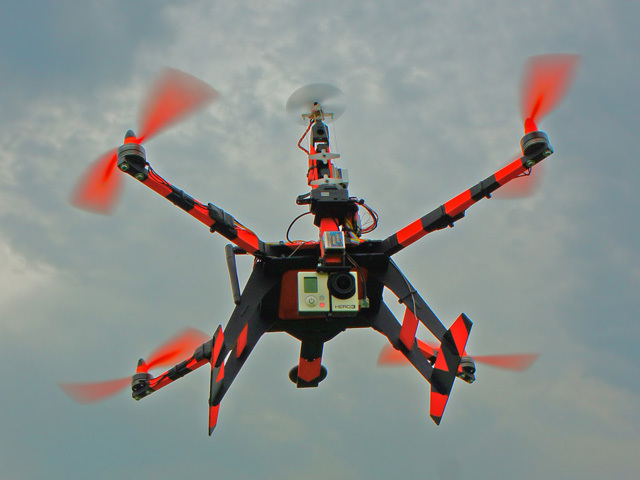 Both optical and inertial horizon sensors can be used for automatic camera stabilization. 14. Drone elements never appear within the camera's FOV and do not appear in footage (without a fish-eye lens). 15. The compact drone can quickly maneuver and fly through narrow passages. 16. 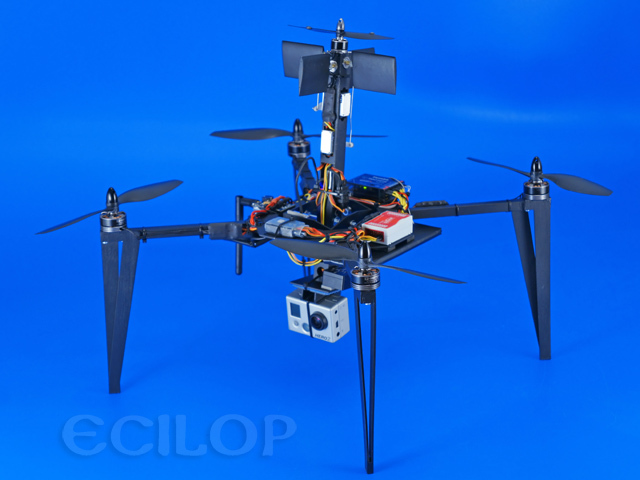 A lightweight drone does not need heavy and expensive batteries. 17. 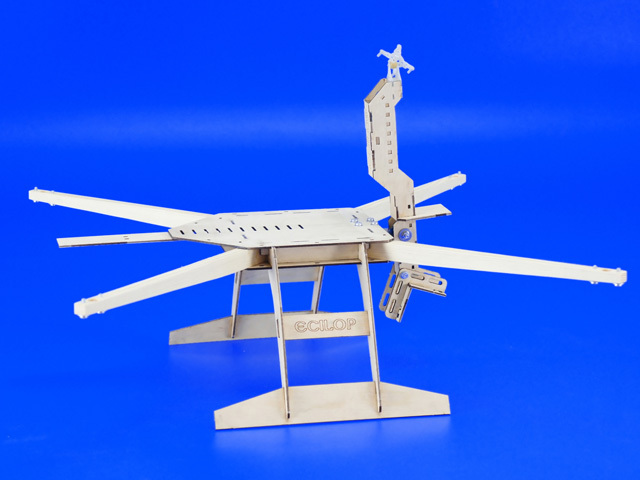 If you have ever made models from paper, plastic or wood, you will not have any problems assembling Ecilop Eco.